This non adhesive, reusable and residue free tape may just be every sewer’s organizational dream. It can be used wet or dry, is writable washable, durable and versatile. 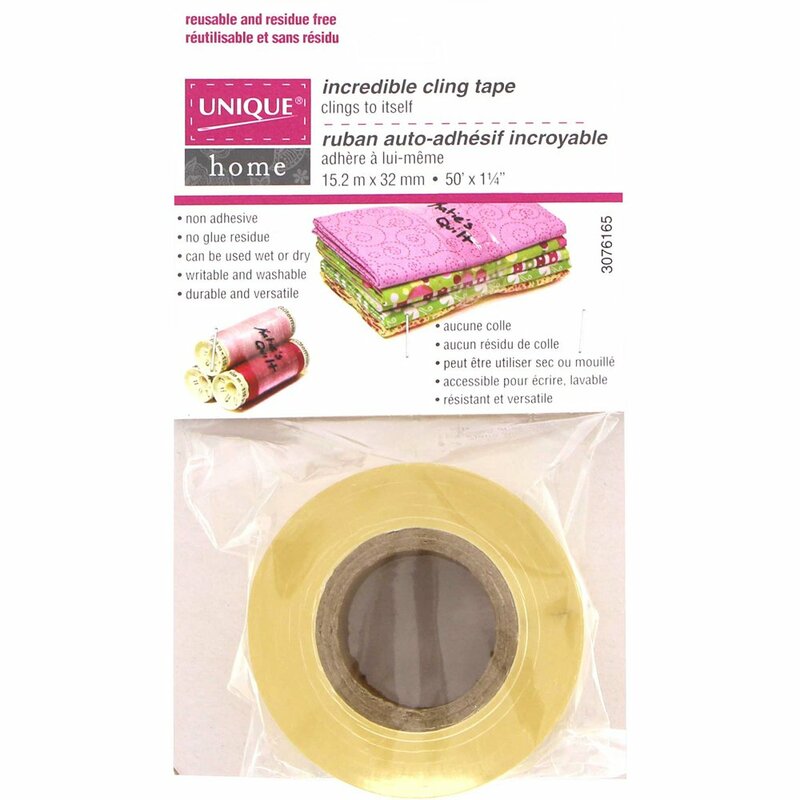 Use it for sealing boxes, wrapping thread spools and fabric swatches, and tying wires and cords together.